All Exterior Alteration Applications must be sent to the Association’s community manager’s mailing address (see Property Management page). Architectural Modification Completion Notification – Form to notify the ARB that the Modification(s) listed have been completed and are ready to be reviewed by an ARB member. Duron Exterior Paint Color Palette – Duron exterior color palette – reference guide for trim, front door, and shutters. The information provided below serves as a reference for proper colors, materials, standards, etc. More detailed information is provided in your HOA documents. 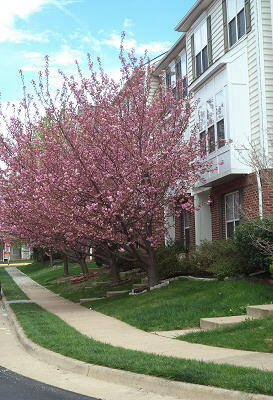 If you have any questions you may contact the property management company for further assistance. Meetings are held the 2nd Wednesday of each month at 7:30pm at the Clubhouse, which is located at 20361 Susan Leslie Drive. Peeling or damaged paint must be corrected with original colors. Mold, mildew, rust, and algae growth on paint must be removed. 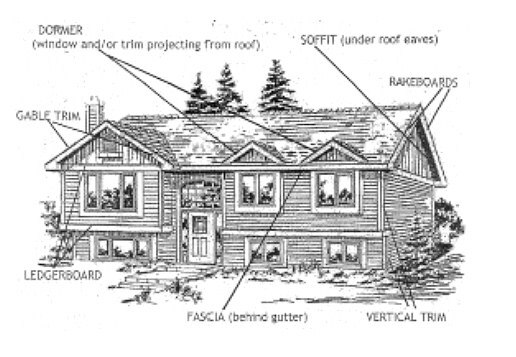 Cracked, broken or missing siding must be repaired to original color and style. Includes decorative moldings, columns, rails, door and window frames. These must be checked for wood rot, deterioration and weather damage. Repair and replacement must meet original design and colors. Paint, repair or replace as needed. Broken, missing or leaning fences must be straightened and/or repaired to original style. Regular power washing and sealant is necessary to extend the life of wooden fences. Decks must be in good repair and meet county code for design and safety. Decks with peeling paint or worn stain must be cleaned and re-painted or re-sealed. All stair rails should be checked for stability and movement. Remove rust, secure bolts and paint with rust resistant exterior matching paint (see above) which is suitable for metal. Stone or concrete stairs should be free of cracks, chips or missing pieces. All exterior doors and door hardware, including locks, doorbells and kick-plates, should be in working condition. Door colors should match original colors (see below) as provided by the developer. All homeowners must check their colors with the HOA before re-painting or re-staining their doors. Garage doors must be kept closed when not in use. Garage doors and mechanisms must be kept in good working condition. Repair, replacement and repaint must match original design and color. Windows must not show signs of leakage. Cracks and other visible damage must be repaired. All screens must be free from tears or other defects. All exterior light fixtures must be in good working condition. Front yard lamp posts are the responsibility of the homeowner. Automatic light sensors and lights must be functional to allow proper night time auto-lighting for safety and security reasons. Homeowners are not allowed to remove or shut off automatic light sensors on lamp posts. Excessive weeds and debris must be removed regularly. Any growth that intrudes into public access space or neighboring property must be trimmed back to within homeowner’s own property lines. Check fence lines for any growth that intrudes through fencing. Homeowners who have growth coming onto their property are allowed to trim back the growth up to the border of their property lines. This growth includes tree limbs, roots, shrubs, vines, etc. Grass should be kept between 2.5” and 4” high. All landscaping shall be kept from overgrowth. Each lot owner is responsible for keeping all trash secured in containers designed for trash use. Containers issued by the HOA trash vendor must be kept in good condition. Each homeowner is responsible for contacting the trash removal contractor to order repairs or replacement of the trash and/or recycle containers. Homeowners are responsible for picking up loose or wind-blown trash which originated from their property. 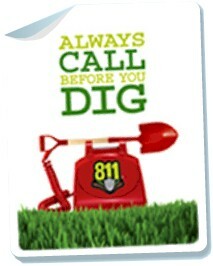 Important Notice: ANYONE, including home owners and excavators, planning to dig or alter the surface of the ground must contact MISS UTILITY (Dial 811 from any Virginia phone line or 1-800-552-7001). First and foremost, IT’S THE LAW! By calling Miss Utility, you will be able to excavate safely without endangering the lives of you or anyone working with you.